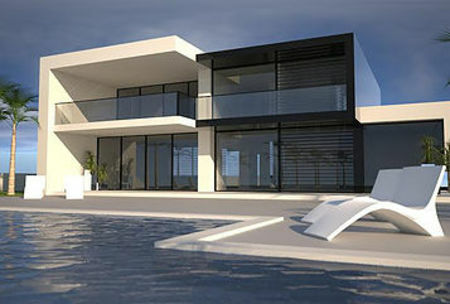 Villa Estrella, Puntiró, Mallorca is one of the most exclusive areas of Mallorca. In this area you will only find prime properties. We have a selection of plots available of 7500m2 on a 10-15 minutes drive to Palma. 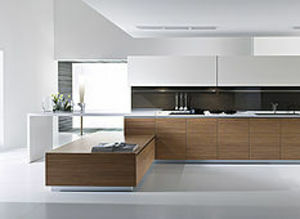 The Villa will have spectacular views because of the elevated position. 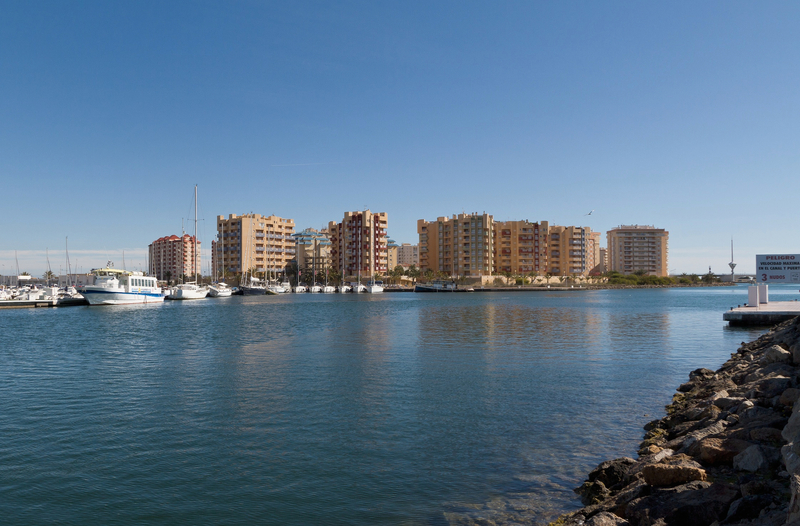 There will be distance sea views to Palma bay and beautiful open views. 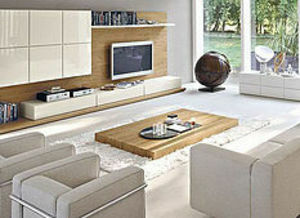 It is designed to live the Spanish live to the fullest. Here we offer a very large detaches villa (Estrella) on a great plot in Puntiró, Mallorca. This modern luxury property has a lot to offer, it comes with all modern luxuries you would expect with a fantastic design and located in a forever popular and fantastic place to live. The plot size of 7500m2 means there is plenty of room for guests, extended family, parties and get togethers. 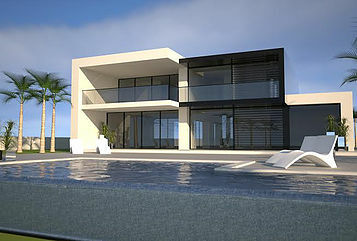 The villa has 5 bedrooms, 4 bathrooms, a seperate cloakroom and a dining/living space of 77m2. 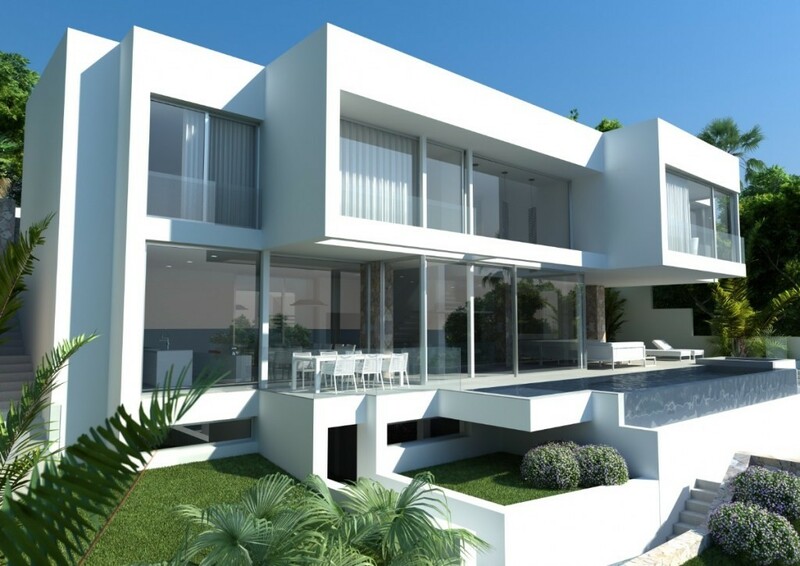 The property also has a double height ceiling by entrance and lobby and moving outside the property into its large garden we will find a more than adequate 12×5 private infinity swimming pool, a large double garage of 49m2 with enough room for four vehicles. Exclusive Villa for an exclusive area. 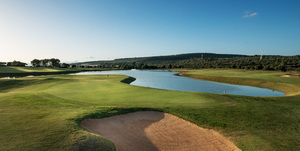 Puntiró, Mallorca is one of the most exclusive areas of Mallorca. 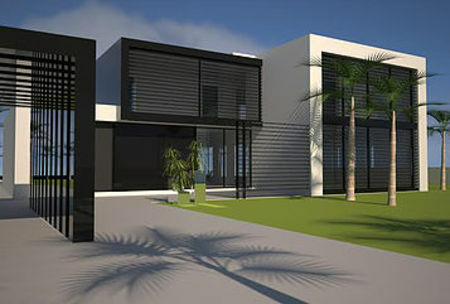 We have a selection of plots available of 7500m2 on a 10-15 minutes drive to Palma. 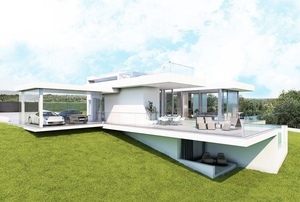 The Villa will have spectacular views because of the elevated position. 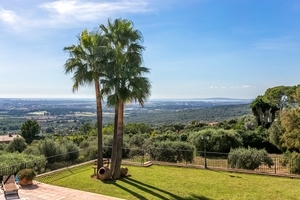 There will be distance sea views to Palma bay and beautiful open views. Close to the golf park Mallorca Puntiró. It is designed to live the Spanish live to the fullest. Villa Imani XL offers a master bedroom on the ground floor with walk-in wardrobes and en-suite bathroom, a spacious living room with an open plan kitchen, utility room and cloakroom all on the ground floor level. Upstairs you will find another 2 double bedrooms with fitted wardrobes and direct access to the upper terrace, family bathroom and 2 bedrooms including en-suite. 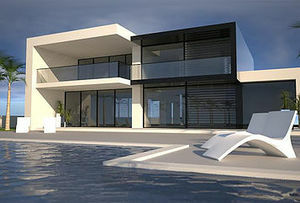 Outside you will find a pool with a lazy / shallow section, 11,5 x 3 pool and a sunken seating area right next to the pool. This state of the art modern villa has just been released on the market. 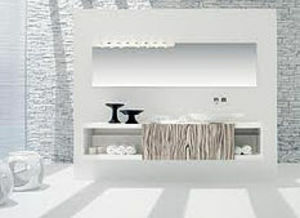 This villa comes with all the latest innovations including a see-through glass pool.